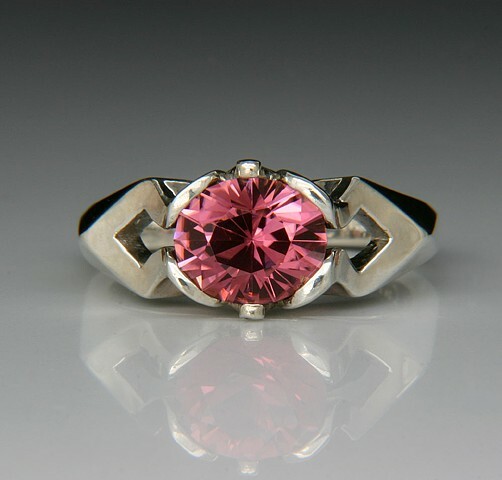 An amazing custom cut Tourmaline in a new design called the Carrie. The mounting is made of De-ox silver - non-tarnishing. Please contact me if you are interested in a ring like this one. I can cast this ring in other metals.